“New World, Inc.” explores the role of British merchant adventurers in laying the groundwork for the colonial settlements in Virginia and Plymouth. The book is a prequel of sorts to the Pilgrim creation myth that suggests Mammon, not religious freedom, drove America’s creation. 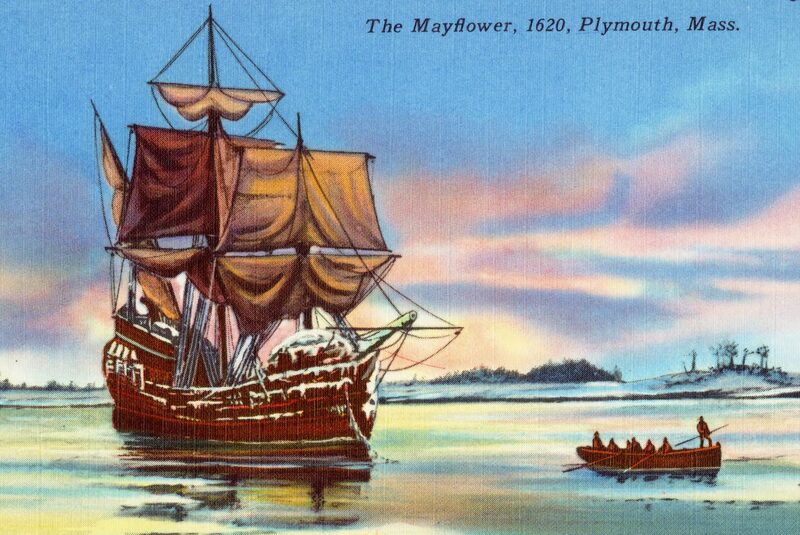 A picture-postcard depiction of The Mayflower in 1620 at Plymouth, Mass. “New World, Inc: The Making of America by England’s Merchant Adventurers” by John Butman and Simon Targett, was published on March 20 by Little, Brown and Co.